Our friendly, caring staff ensures you never feel like just another number. We have an exceptional, friendly team who provide outstanding care and service to you and your family. As trained professionals we pride ourselves on staying on the cutting edge of dentistry and patient communication. We routinely attend continuing education courses, both individually and as a group, to learn about advances in dental care. Our team is eager to answer any questions regarding your dental care. Please feel free to share with us your needs and concerns. Dr. Joffe’s Office Manager Teresa was born in Florida and grew up in Punta Gorda. 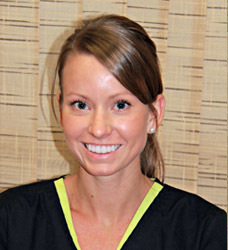 Soon after graduating from Charlotte High School she began working in the dental field. She has been with Dr. Joffe since he opened his practice in 2000. 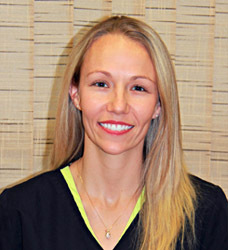 Teresa has an excellent rapport with patients and strives to make your dental visit a pleasant experience. When not at work she enjoys spending time with her husband, daughter and 2 dogs. Mary was raised in El Jobean and graduated Port Charlotte High School 1993. From there, she spent three years as a dental assistant in the U.S. Army stationed at Ft. Bragg, NC. Mary returned to Charlotte County afterward to continue a degree in dental hygiene from Edison State College, graduating with honors in 2002, Phi Theta Kappa. In April of 2003, Mary accepted a position with the office of Dr. Joffe that led to a career with people who became close as family. She loves to work in a practice that continually advances in patient care while maintaining the small, family-feel environment. When not at work she’s busy raising two teenagers, enjoying the beach, living healthy and listening to live music. Brittany was raised here in Southwest Florida, after graduating from Charlotte High she attended Edison State College. She earned her degree in dental hygiene in 2008, and was honored with the Patient Achievement Award. 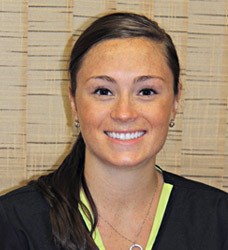 She’s been working as a dental hygienist with Dr. Joffe ever since. Brittany is very active in her church, where she is a Youth leader, member of the church softball team, and other activities. She enjoys many outdoor activities including fishing, boating, and is an avid Steelers fan. Most of all she loves spending her free time with her family and friends! 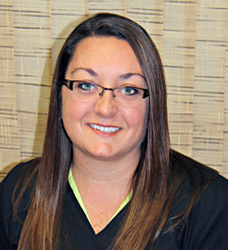 Brittany looks forward to making your dental visit an enjoyable and comfortable experience…she loves to make people smile! Christine was born in Massachusetts but raised and earned her education right here in sunny Florida. After earning her Associates Degree at Santa Fe College, she is now striving to complete her Bachelor's and Dental Hygiene Degree at Edison State. Spending quality time with her fiancé, newborn son, and family are most certainly her favorite things to do.